Your bedroom, of course, is your paradise where you will be able to relax, sleep and even enjoy a quiet time alone. One of the most important factors inside your bedroom is the light fixtures which they enhance the beautiful look of your bedroom and also have functional purposes. Lights are the elements that can add any mood you want inside your bedroom. With the right colors and shades, you will have your preferable light fixtures to set a specific mood inside. If you are a kind of people who love to read before going to sleep, thus you need to choose a cute table lamp with a night light. There are many types and styles of the night lights with different sizes, colors, shapes and brands. You have to take a look online to know more about this variety. You need to choose the height and size according your bed height and table size. These table night lights are available too within your budget; their prices range according to their styles, shapes and for sure the brand you select. One of the master brands in this field is the Tiffany brand for Table lamp. When you select your bedroom night lights for tableside, you can be more smart and creative by combing with the functionality purposes of the lamp and its decorative look. Choose the shade you love and suite your taste and needs as reading, sleeping with a soft light or even for a warm or romance feeling addition. What a perfect night light should be to enhance your bedroom? You need to select the right lamp shades with focus bright lights. You must pick a matched table night lights whether in colors or shades to fit the other light fixtures. As it is a lamp for a specific use you might choose a darker shade and color of your actual ones to serve its purpose. 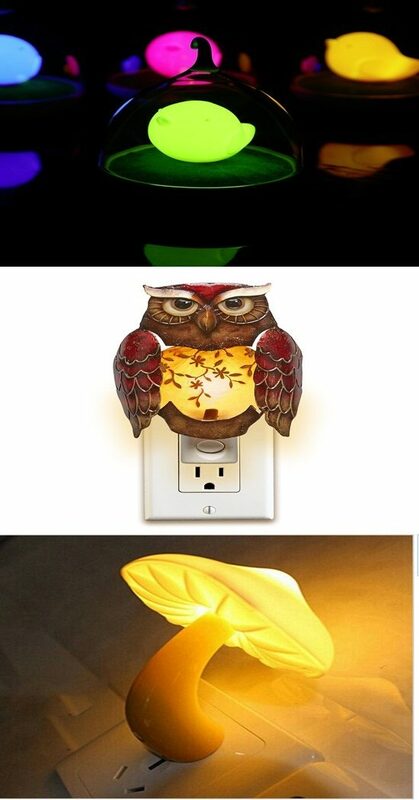 You have to consider also the power saving ones with sufficient illumination. The table night lights are available with various materials for the body like wood, bamboo, and glass. You just have to select what suit you and enhance your décor.